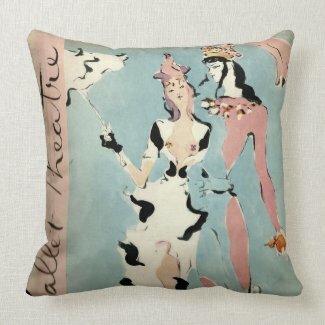 Who can resist the work of Léon Bakst? Not I. 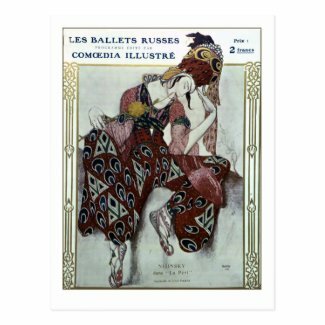 The Russian artist was responsible for the gloriously exotic costumes worn by the dancers of Sergei Diaghilev’s Ballet Russes and the accompanying illustrations that adorned the programmes. 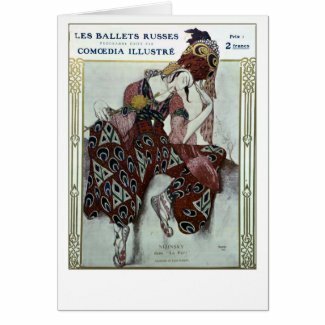 If you’ve come to know me at all, you will not be surprised that I have now restored the Wikimedia image of the Schéhérazade programme that I uploaded for yesterday’s post about Diaghilev and have made it available on cards, posters and prints. The programme is for the 1913 production of Shéhérazade with Michel Fokine and Vera Fokina. While I’m sure that the original background was as white as could be achieved at that time, the patina of age has its own charm. I have restored it to a certain extent such as blocking in the border where it had faded and enhancing the colours and contrast but I decided not to make the background white but simply even out the dirt of decades into a yellowy cream.